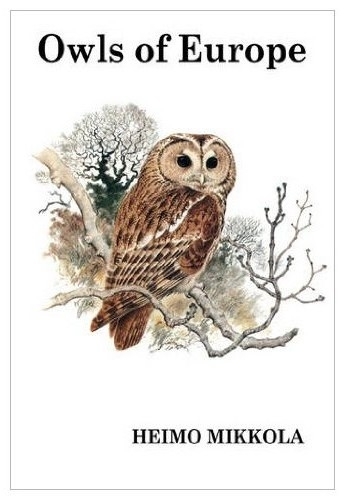 In this major work Dr Mikkola reviews the 13 owls breeding in Europe and an additional four species in lands adjoining the Mediterranean in North Africa and the Middle East. The book has three Parts. I: Special Characteristics - origins, taxonomy, anatomical features, pellets. II: Species Descriptions - the 17 species described in detail, with voice, behaviour, food, breeding and distribution (34 maps). III: Ecological Relationships - largely concerned with interactions between owls and with other birds of prey. Identification, part of the Species Descriptions text, is more than supplemented by 8 superb colour plates by Ian Willis. In addition there are numerous line drawings and over 70 photographs.